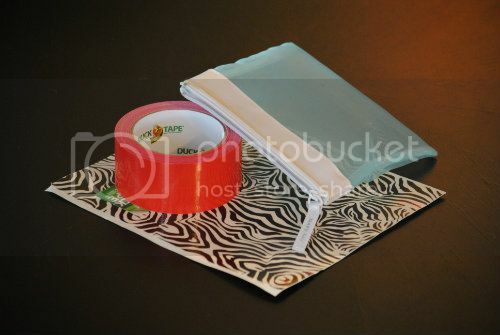 Are you looking for quick, simple and creative gift wrap? Here are a couple of things that worked for me! It's such an honor to guest post at Inspiration Cafe again! One of my gift wrap projects is a guest over there today. Take a look! Here's the second gift wrap idea! 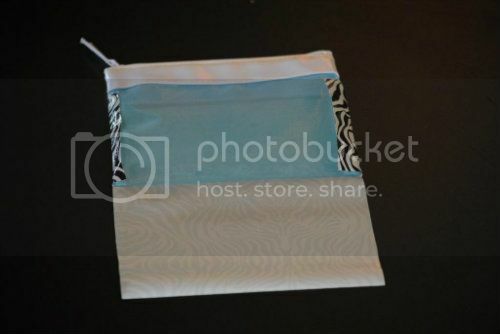 Do you ever get those freebie skin care kits that come with a small FREE zippered pouch? Well, I do, too! 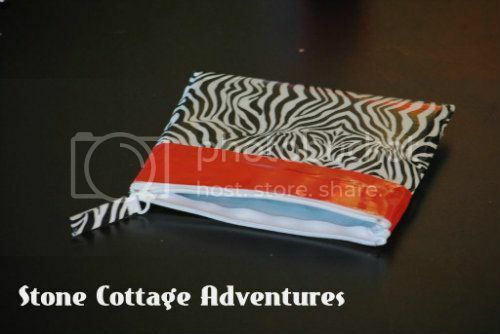 Using a little duct tape, the freebie zippered pouch got a slick makeover! There's only one little tricky part - cutting tabs. I used the grid on the back of the duct tape to help keep the cuts straight. 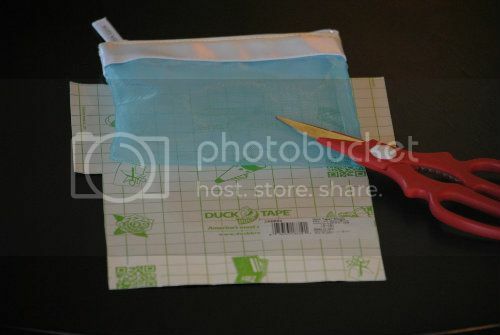 Make sure you cut the duct tape neatly, then fold in those flaps to wrap the sides. Next, fold the bottom part of the duct tape over the side flaps. Add a little zip of color at the top and use a scrap for the zipper tab. There you go! I'll be using this as gift wrap for unique jewelry found on Etsy! Thanks again to the girls from Inspiration Cafe ! You really know how to make me feel welcome! Very cute and fun :) Thanks for sharing. What a fun gift idea! Thanks for sharing. This is such a great idea. Love it. I have some of that exact duct tape. I think I may just steal this idea. Thanks for sharing. I am your newest follower. So cute and useful! Thanks! I just adore this idea! What a great way to make a boring bag new... you are one clever lady! Thanks for sharing with the Pink Hippo Party! Such a great idea! Going to have to use this one. That is such a GREAT idea! I love it!!! That is so cute, kids would love to do! Hopping by and following your GFC. What a cool way to reuse those pouches. Thanks for sharing on We Made That! Great idea, Marci. I bet I have at least one hidden in a drawer someplace that I got as a gift with purchase. And EVERYBODY loves a new zipper pouch as a gift. AMAZING!!! When I clicked on your link I thought...I need to learn how to sew. I thought this was another one of your beautiful sewing projects.